Our final installment in our journey around the bay area covers the “East Bay” area, with easy access from most cities east of the bay and north of the San Jose area. While stringing all of these into one day would be difficult, there are a few routes that make nice day trips on their own, offering several options if you’re looking for a shorter route to enjoy a beautiful afternoon. 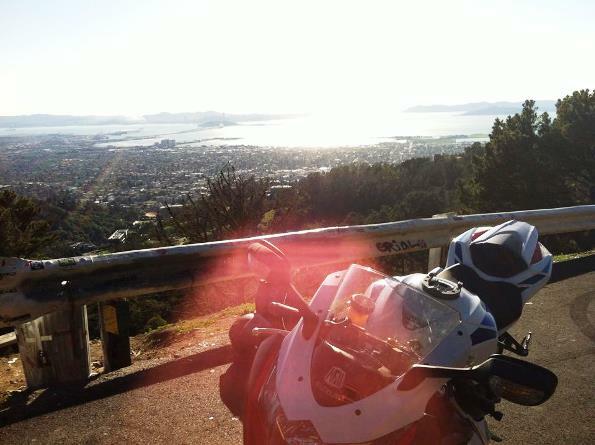 A regular on my commute route, the east bay hills offer a variety of roads best taken on a weekday IMO. Weekends bring out a lot of tourists, riders, bicyclists and others into the hills, which makes the traffic and chaos a bit beyond my liking. The roads, however, are still worth the ride! One of my regular routes is to take Redwood Rd, right onto Pinehurst and then another right onto Canyon. Take a left onto Moraga Way, straight onto San Pablo Dam Rd, right onto Bear Creek, and a right or a left onto Alhambra Valley out towards the main roads in either direction. Another variation is to stay on Redwood past Pinehurst, make a right onto Skyline Blvd, follow that through the hills and residential areas until a right onto Grizzly Peak Blvd, with an eventual right onto Golf Course Rd, right onto Shasta and another right onto Wildcat Canyon Rd which eventually goes straight into Bear Creek. Of course, if you follow this second route, you can come across the infamous (previously) “Wall” which offers an amazing view of the bay and the Golden Gate Bridge. 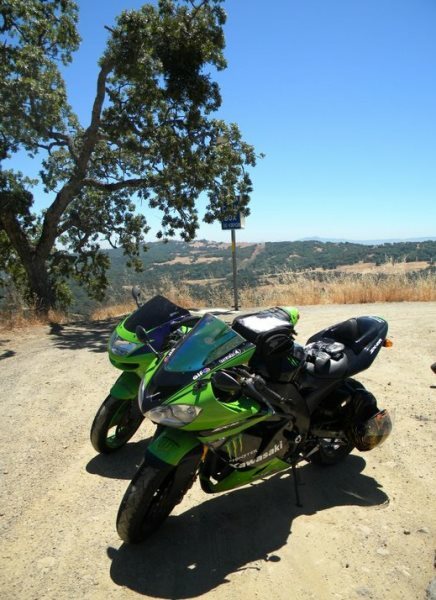 Other noteworthy roads include Patterson Pass, Tesla Rd and Corral Hollow Rd, all east of Livermore and Marsh Creek Rd and Morgan Territory which wind their way around Mount Diablo east of Danville. As for eating options, well, you’re never too far from a civilized hub, so there is sure to be something that catches your fancy wherever you choose to ride!